Salvation, mankind’s ability to live in the presence of God forever, is often a difficult concept to grasp. One of the biggest areas of confusion is with “good works.” Do good works get you to heaven? 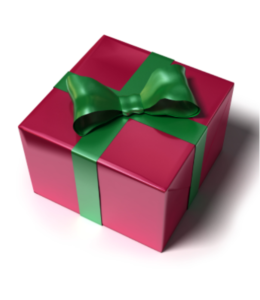 “The Gift” is God’s grace, extended to mankind even though it is not deserved. Paul calls this justification by faith. We must understand that mankind is separated from God because of our sinful nature. However, it was through Christ’s work on the cross and our faith in Christ that brings us into fellowship with our God. This is something we cannot do ourselves, no matter how hard we work. “The Work” is our service to God. Charity, stewardship, using our talents to make the world better is the work. Paul calls this work sanctification. It is work done not because it is profitable to us, but because of our love for God and love of Christ. “The Prize” is often called glorification. Simply stated, when we are finally in eternal proximity to our God, we will have reached true glory. Yes, it is this simple: accept the gift so our work can be of benefit to God and assure yourself of the prize, eternal life. Salvation is not something we have to wait for, it starts the moment we accept “The Gift.” When we have faith in Christ, when we are repentant for our sins, our labors can become rewarding and our burdens lifted. Have you personally accepted Christ’s gift? Are you thankful every day for the gift of Christ’s work on the Cross? Do you see purpose in all things, even the burdens of life? Are you filled with hope even though our world is filled with hopelessness? The Apostle Paul really is trying to simplify our lives. He even defines “The Work” for us in 1 Corinthians 13. He clearly expects us to behave differently than those who have not accepted the hope of salvation. Our work is to love everyone and it is work. We are a people of justice and want God to even the score. But God wants us to even the score with love. In a world filled with pain, suffering, war, deceit, etc., love is often in short supply. But the world is watching and you may be the only Bible someone ever reads. Your work matters, your love matters in this world. Your tip, therefore, is to remember to love as Christ loved, feeding the hungry, comforting the sick, sharing the story of your faith walk with others—not bad work if you can find it!